Train travel in Morocco is easy, cheap and a great way to get around the country. Many international visitors arrive at the Tangier Ferry Terminal from Spain or France and wish to travel onward by train. For more details about the night train that travels between Tangier and Marrakesh, click here. 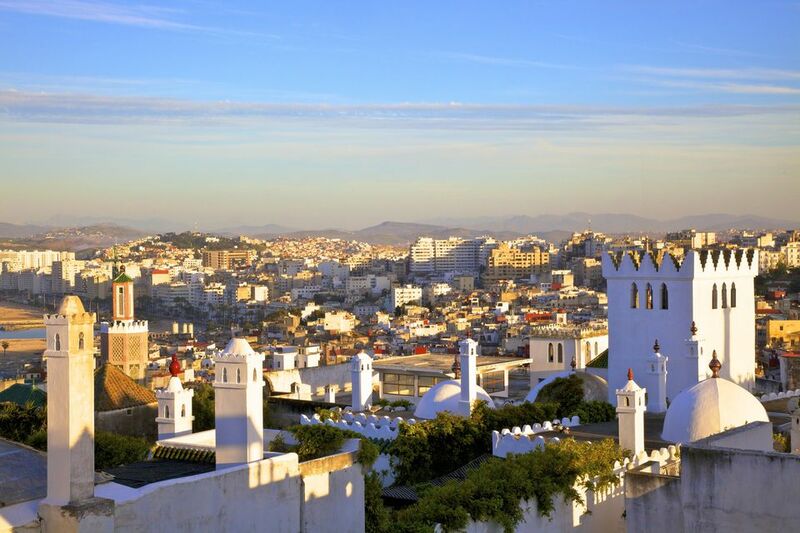 If you wish to travel onward to Fez, Marrakesh, Casablanca or any other Moroccan destination that has train service, you will need to make your way to the central train station in Tangier. Some buses and taxis will take you from the ferry terminal directly to the train station. There are two options for buying tickets on Moroccan trains. If you're traveling during peak holiday season or need to be in a specific place at a specific time, consider booking your ticket in advance on the national railway website. If you'd rather wait and see how your plans unfold upon arrival, you can usually book train tickets at the time of travel, too. The best way to do this is in person, at the train station. There are several trains a day to all major destinations, so if you're flexible on timings, you can catch the next train in the unlikely event that there are no seats left. Older trains are divided into compartments, while newer ones often have an open carriage with rows of seats on either side of the aisle. If you're traveling on an older train, first class compartments have six seats; while second-class compartments are slightly more crowded with eight seats. Either way, the main advantage to booking first class is that you can reserve a specific seat, which is nice if you want to make sure that you have a good view of the landscape from the window. Otherwise, it's first come, first served but the trains are rarely packed so you should be quite comfortable. Below are some of the main schedules of interest to and from Tangier. Please note that schedules may change, and it's always a good idea to check for the most up to date travel times upon arrival in Morocco. The schedules have remained largely the same for several years, however, so at the very least the times listed below will give you a good indication of the frequency with which trains travel these routes. Second class tickets cost 111 dirhams, while first class tickets cost 164 dirhams. Round-trip fares are double the price of one-way fares. The train from Tangier to Marrakech also stops in Rabat and Casablanca. Second class tickets cost 216 dirhams, while first class tickets cost 327 dirhams. Round-trip fares are double the price of one-way fares. Second class tickets cost 216 dirhams, while first class tickets cost 327 dirhams. Round-trip fares are double the price of one-way fares. The train from Tangier to Casablanca also stops in: Rabat. Second class tickets cost 132 dirhams, while first class tickets cost 195 dirhams. Round-trip fares are double the price of one-way fares. The train from Casablanca to Tangier also stops in: Rabat. Make sure that you know what time you're scheduled to reach your destination because stations are not well sign-posted and the conductor is usually inaudible when announcing the station you're arriving at. Before you arrive at your destination, you are quite likely to have unofficial "guides" trying to get you to stay at their hotel or offering you advice. They may tell you your hotel is full or that you should let them help you get a cab etc. Be polite but firm and stick to your original hotel plans. Moroccan trains are generally safe, but you should always keep a keen eye on your luggage. Try to keep essentials like your passport, your ticket and your wallet on your person, rather than in your bag. Toilets aboard Moroccan trains can be questionable regarding hygiene, so it's a good idea to bring hand sanitizer and either toilet paper or wet wipes with you. It's also a good idea to bring your own food and water, especially on lengthy trips like the ones listed above. If you do, it's considered polite to offer some to your fellow passengers (unless you're traveling during the holy month of Ramadan when Muslims fast during the day). This article was updated and re-written in part by Jessica Macdonald on September 22nd, 2017.